I recently wrapped up the Necessary Evil Plot Point Campaign. To be honest, we kind of cheated a little and stopped at the end of Episode 9 with a quick summary of what happens in Episode 10. With that, I asked the players how they would like their characters' stories to end. That actually led to the use of Interludes for a round of storytelling but with a few twists that shaped up into a pretty decent system for campaign Epilogues. We ran the Epilogue by drawing cards for Interludes, but they drew them as if drawing for initiative, meaning that if a player got additional cards from Edges (i.e. - Level-headed, Improved Level-headed, or Quick), they could get additional cards for the Epilogue. The order of the initiative draw determined who told their story first. This allowed players with higher initiatives to establish a story. Lower initiatives gave players the ability to modify the story while adding their own bits. For example, "While The Archon becomes a new world leader trying to restore order, I take on the mantle of Dr. Destruction to spread chaos wherever possible. This gives us both focus for our efforts." The stories still have to be based on tragedy, victory, love, or desire. The benefit of any extra cards is that they allow the player to tell their story on the higher initiative, but they can choose any of the suits they were dealt. A draw of a Joker allows the player to tell their story at any point, even interrupting another, but also allowing them to choose the type of story they want to tell. One thing we thought of afterward was allowing players to either spend a remaining benny to draw another card or to choose the type of story they'd like to tell; we couldn't decide which at the time. 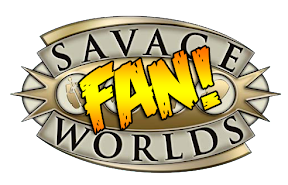 So to summarize, here's the breakdown for Epilogues in Savage Worlds. Epilogues allow players to collaboratively summarize the events after a campaign ends as related to their characters (and only their respective characters). They can serve as a great narrative tool for bringing closure to a campaign. 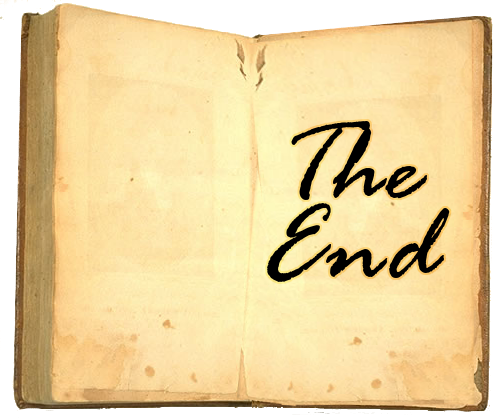 During Epilogues, players take turns creating their characters' endings and expanding on the overall conclusion of the campaign's story. To conduct an Epilogue, the players draw cards from the Action Deck as if drawing for initiative. The players then take turns in order of initiative telling their stories. Players should apply any Edges or Hindrances that their characters have that influence the number of cards they may draw for initiative. Players who draw higher initiatives have the opportunity to establish their stories first, setting the precedent and tone for the events occurring during the Epilogue. Players who draw lower initiatives have the benefit of adding to (though not negating) the stories told before them. The type of suit dictates the type of story, just as with Interludes. However, while the player can use the highest card for determining when they tell their story, they can choose any suit drawn to determine the type of story. If a Joker is drawn, the player can choose any suit and tell their story on any turn, even interrupting another player's story. If a player does not like any of the suits he has drawn and hasn't drawn a Joker, he may trade in an unspent benny or Adventure Card (if he has not used an Adventure Card during the session) to draw another card from the Action Deck.